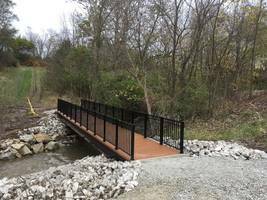 DAYTON, Ohio (March 28, 2017) Short-lived bridge products that require constant care and regular replacement have prompted agencies like parks and recreation agencies to look for long-lasting alternatives. 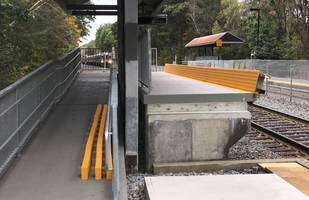 Composite Advantage’s new line of standard size Fiber Reinforced Polymer (FRP) trail bridges offer a zero maintenance option that lasts up to 100 years. 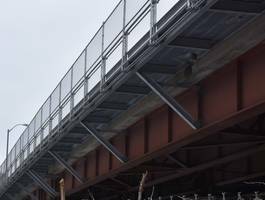 Based on the supplier’s FiberSPAN-T trail bridge first installed in 2008, the standard FRP system combines a prefabricated FRP composite deck with weathered steel beams and powder-coated aluminum railings to resist salt, water and chemical corrosion. 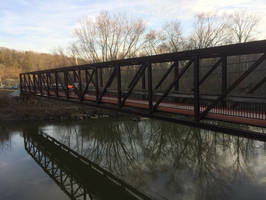 Composite Advantage’s FRP trail bridges are available in sizes 20 ft. to 50 ft. and meet AASHTO guide specifications for pedestrian bridge designs. A non-slip surface supports safe foot traffic and lasts five to six times longer than traditional sand-in-paint finishes. The sustainable product complements natural surroundings with colors that include brown, green and grey. 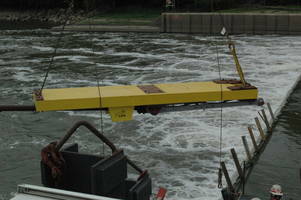 Bridges arrive on-site fully assembled so installation takes just one day. Composite Advantage is an engineered solution supplier for Fiber Reinforced Polymer (FRP) products for major infrastructure markets. CA pairs innovative design and unique technology with efficient manufacturing processes and in-depth field experience. 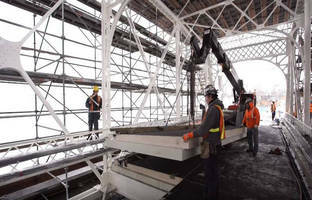 More than a decade of developing lightweight, high-strength, cost-effective FRP goods for structurally demanding applications and corrosive environments has helped the advanced materials manufacturer create a comprehensive menu of products ranging from pedestrian bridge decks, trail bridges, cantilever sidewalks and rail platforms to fenders, pilings, ship separators and other waterfront structures.